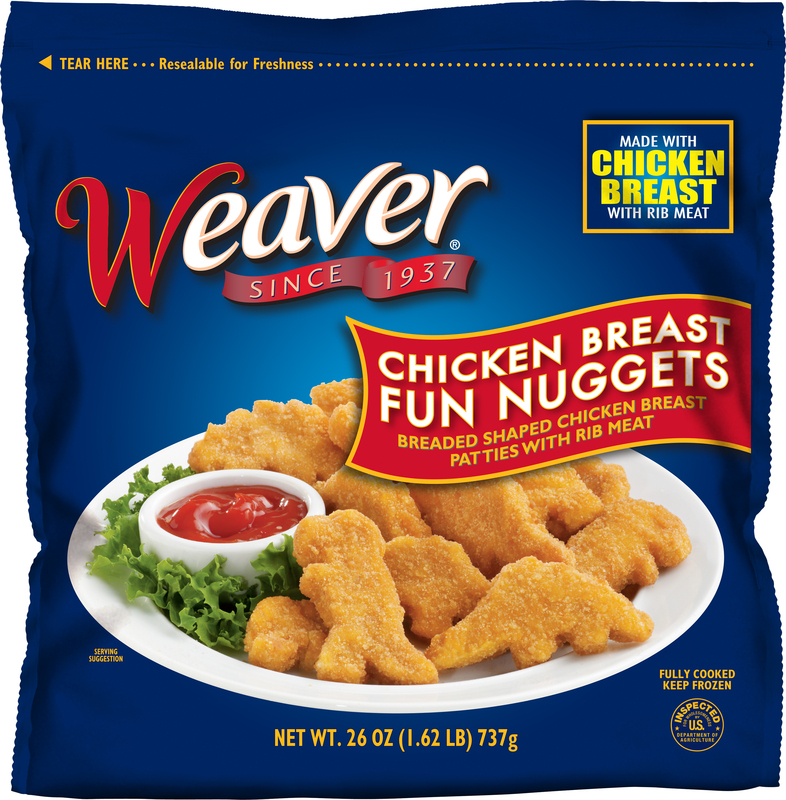 You know that Weaver® chicken products are a quick and tasty family favorite, but what are some new ways to serve or use our chicken in recipes to feed your family? We have some ideas for you. Take a look at the recipes in the sections below to find complements to our tasty chicken products. Print the ones you like and keep them in a handy place to help you with those last minute family dinner dilemmas. We know you want something for your kids that will make them happy. We also know that you want something that is a great value for your money. With Weaver chicken you can't go wrong. Both you and your kids will be happy. We are proud to say that we have been a "true-blue" family favorite since 1937.